It really can be difficult to find products that live up to your performance expectations when it comes to natural makeup! For those of you who don't have noticeable discoulouration issues to take care of (you lucky things!) you probably wouldn't find it as hard as I did switching to a natural concealer as there's a really decent selection of light-medium coverage concealers available in the green beauty market. I need something with high coverage to improve the appearance of my extremely dark under eye circles, so that's why concealer was particularly frustrating for me to replace. I've tried a fair few over the past year that I did like, but weren't in my preferred liquid form and still weren't enough coverage for my needs. 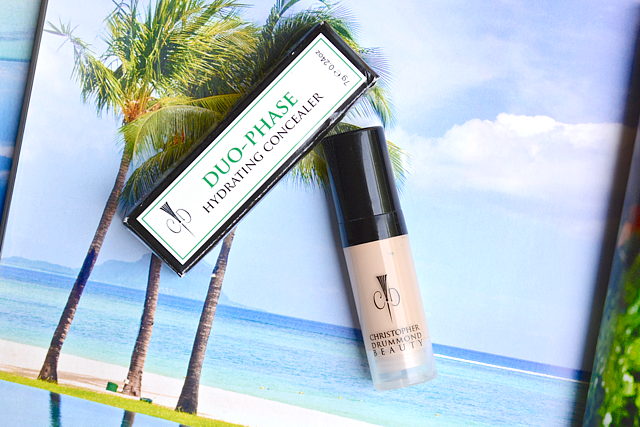 I'm sure you can probably guess where this is going already... a blog post all about my newest "Holy Grail" - Christopher Drummond Duo-Phase Hydrating Concealer! 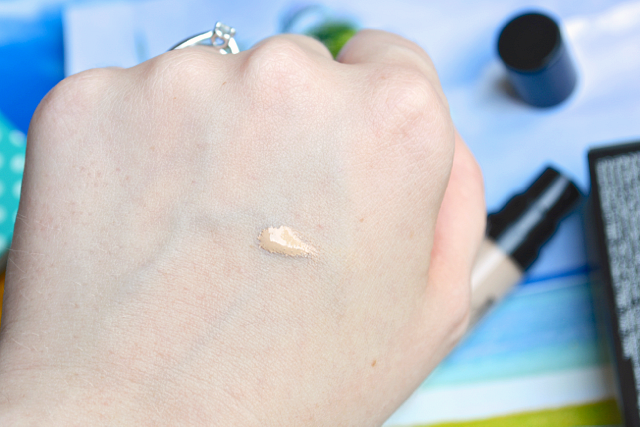 I'd heard about this concealer through a few US-based beauty blogs, but it was Mary's review (Makeup By Mary B.) that really made me want to try it out for myself. She described this concealer as game-changing and having now tried it out for myself I can absolutely agree! Honestly, this is better than any other concealer I've tried before, both natural and otherwise! Christopher Drummond have a decent selection of shades to suit a range of skin tones, from ivory to deep bronze. I have the shade "Light" which is the second lightest shade, suited for light skin tones with neutral or light golden/olive undertones. It comes packaged in a little plastic bottle, only just a bit bigger than a lip balm tube in size, and it has a little airless pump which is perfect for dispensing a small amount at a time. This concealer has a thick liquid texture and it's very highly pigmented, so you only need to use the tiniest amount to get a flawless full coverage over blemishes, redness, dark under eyes and any other discolouration. I use this to conceal under my eyes mostly and it works amazingly well to disguise those pesky purple circles (with only minimal creasing)! I also love to mix it with moisturisers to create a foundation or add a little to liquid foundation to give more coverage. The ingredients aren't as minimalistic as you might find in the likes of RMS Beauty etc. but, like Mary mentioned in her review, they're leaps and bounds better than what you'll find in the usual high street/drugstore brands, plus there's nothing that stands out as particularly "bad" in my opinion! You can check out the full ingredients list here. My one and only problem is Christopher Drummond's shipping costs outside the US, which I personally think are quite extortionate - e.g. $46.50 to ship the concealer (which costs $22.50 - approx. £13.00) by USPS to the UK, but they do offer free international delivery if you spend over $99. I wasn't prepared to pay that high shipping cost, so I was super lucky Mary offered to send the concealer across the pond for me. The actual shipping cost was only a few dollars, so I really hope Christopher Drummond might review and change their shipping costs to something more reasonable in the future! If you've not tried this concealer yet, then I highly recommend trying it out for yourself, especially if you're lucky enough to live in the US to take advantage of free shipping. 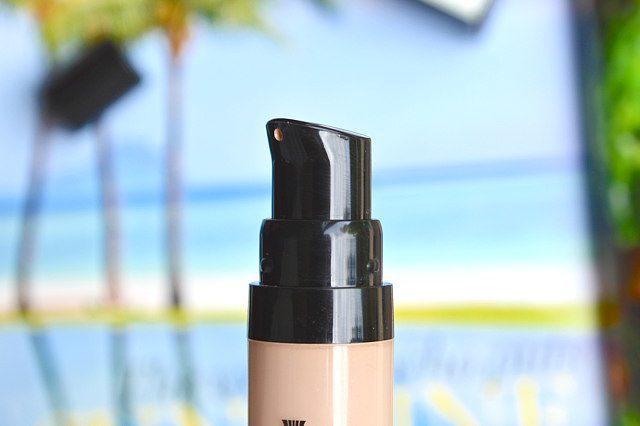 This is without a doubt the best concealer that I've ever tried! Amazing coverage, doesn't get cakey and such a little goes a long way. It reached HG status the first time I used it and it will most definitely be a constant staple in my makeup bag! Do you have a "Holy Grail" concealer? Damn this sounds wonderful, I often wish I lived in the US just so that I can purchase makeup! It sounds wonderful, I would definitely purchase if the shipping was reasonable!